The blue/grey hank was the first that I pulled out to make a hat. Knitting with it was very pleasant. The fiber was so incredibly soft. 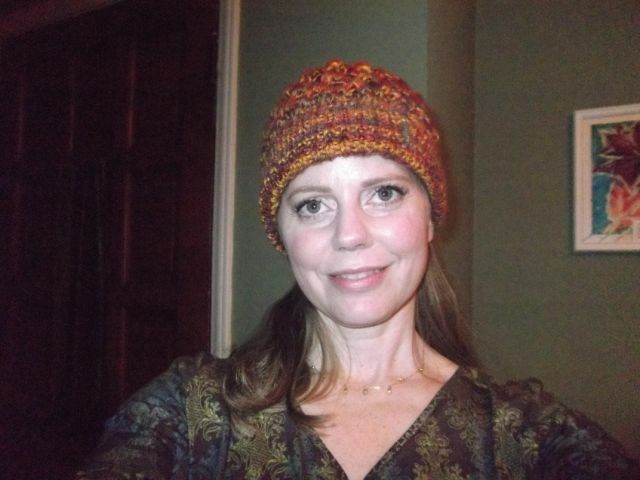 This is a great pattern, the Adult Ruth’s Cap from the book Norwegian Handknits: Heirloom Designs from Vesterheim Museum. This is the first pattern that I have made from this book, which I purchased at the Vesterheim Museum when it first came out a few years ago. It is a really nice book, and I have enjoyed looking at it, but seeing this hat knit up on Ravelry made me look again at the book. This pattern was chosen because my friend has a small head and I read on Ravelry how well this worked for a more petite noggin. 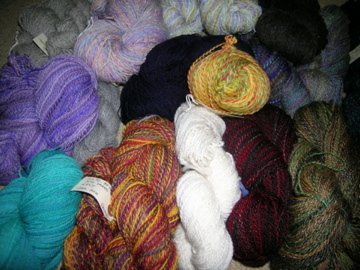 Then I chose this red/orange multi-colored yarn. 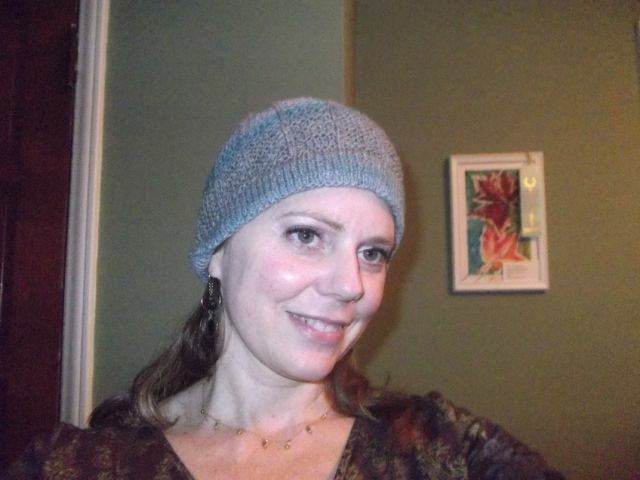 This one was not plyed as tightly as I would have liked to knit with, but it made a very warm hat. 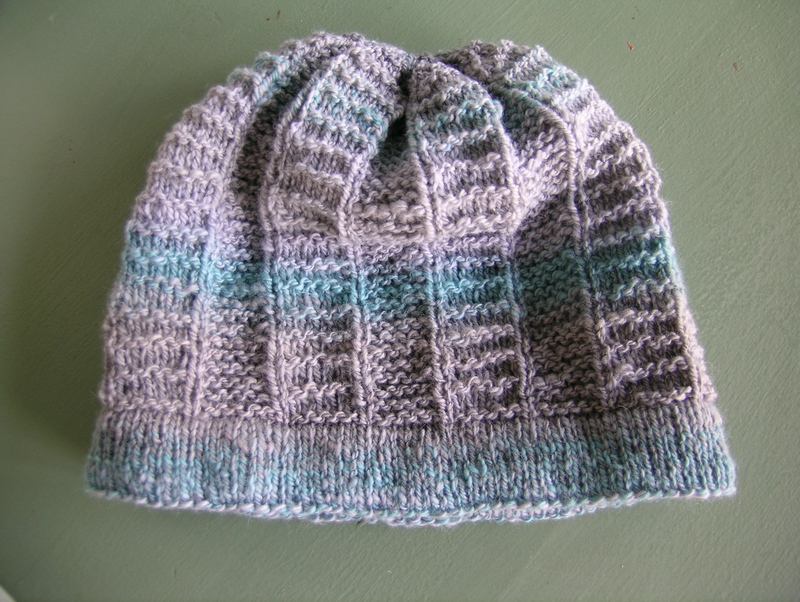 The pattern is Ullstund Hat, designed specifically for handspun yarn that the designer was given. However, the cables in this hat made it a very warm hat. I do not have a close-up photo of this hat. The only change that I made to this pattern was to add a tubular cast-on. These hats turned out great–funny how some things look better than you thought they would. Glad you decided to use try it anyway. I’m sure your friend loved them!